These Ultra Ventilated Jackets are made with a three layer fabric mesh which allows air to circulate around your body, and depth of Three layers fabric provides sting protection. Spacious hood stays in place and keeps the veil away from your face. 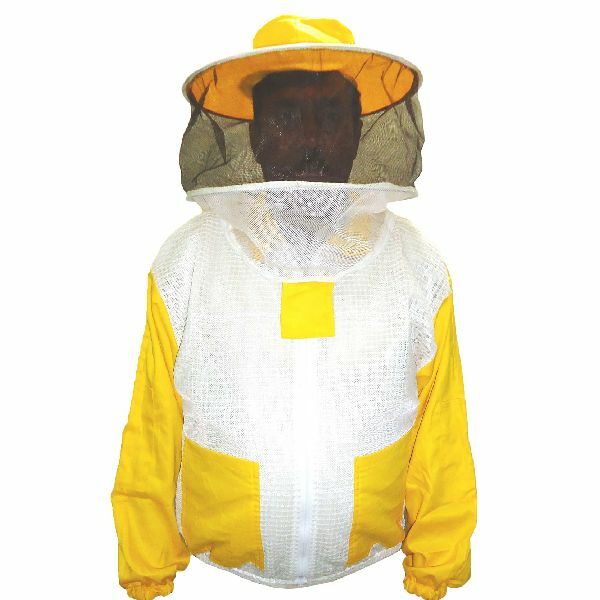 Strong and excellent quality material will last for years High quality Zip Even in the rain, this Jacket maintains a protective barrier against bees. Jackets are machine washable; the detachable hood is washable by hand.